Discussion in 'Displays' started by Zarathustra[H], Jul 22, 2015. 2.0 07/27/2015 - Changed color mode recommendation from YCBrCr mode to RGB Full, Added Cyph's window resizing issue fix, Added 4:4:4 Chroma test image,clarified One Connect Box, other misc, minor corrections/clarifications. 2.1 07/28/2015 - Minor Typos. Moved Revision History to top of document. So you bought a new fancy 2015 model 4K Samsung TV to use as a monitor and want to know how to set it up? Well, I'm here to lend a hand. First let me point out, that I in no way came up with all of this myself. It has been a team effort with different people figuring out different things and posting them in the mammoth 200+ page New Samsung 4k for everyone thread. As with all these threads, over time things get difficult to find when they are a hundred or so pages back, so here is a quick guide to get you going. I will mention the term Chroma, 4:4:4 and 4:2:2 a bit. Their exact definitions are not really important to this writeup, but if you are curious, you can read up on the topic here. This guide was written based on my JS9000 model. All of these models (JU6500, JU6700, JU7100, JU7500, JS7000 JS8500, JS9000) are very similar, but there are slight differences. This guide should still be mostly applicable for all of them. This guide assumes you have the TV assembled already, have powered it on for the first time, and gone through the initial setup (setting date, time, network settings, etc.) but have not yet gotten to picture modes, color configurations, and other things which really make these TV's shine as monitors. This guide assumes you have a HDMI 2.0 capable video card. These TV's are only equipped with HDMI ports, and this means that if you want the full 3840x2160 resolution at 60hz, and full 4:4:4 Chroma, HDMI 2.0 is the only interface that is going to work. 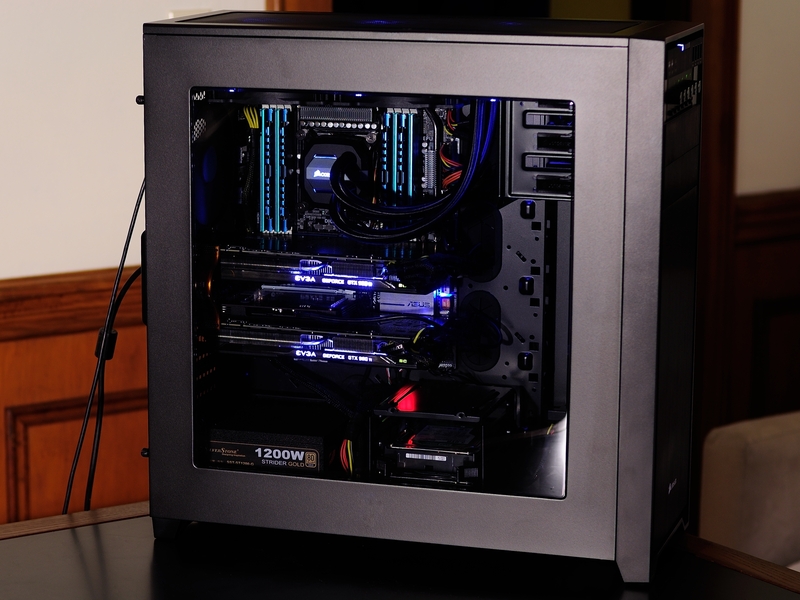 At the time I am writing this, this means a GeForce GTX 9xx series card. While these ports will likely be available on all kinds of GPU's and computers in the future, right now GeForce GTX 9xx cards are the only game in town. TV picture settings are VERY subjective. There may be recommendations in this guide you disagree with. That doesn't mean either of us are wrong, it just means we prefer things one way or another. Wherever possible I intend to identify which of the recommendations are particularly subjective ones, and which are fairly objective. On the JS9000 and other higher end models the inputs are all in an external "One Connect" box, which connects to the back of your TV using a proprietary cable. The different ports on the box are labeled for different purposes. Some models do not have a one connect box, but rather connect straight to the back of the TV. Some have only one HDMI 2.0 port, in which case you'll need to use that port. On the JS9000 all the ports are HDMI 2.0 ports. They are labeled for different purposes, but for PC use with a video card that has an HDMI 2.0 port, any one of them should work. In this guide, I will be using HDMI1 as the computer interface. While many of the early articles about HDMI 2.0 claimed you could use all your existing HDMI cables, this has sadly proven not to be the case. In order for this to work properly, you will need a good 18 Gbps HDMI cable, otherwise you might experience random dropouts, failure to connect at at high chroma (and thus poor image quality), or no signal at all. Keep the cables no longer than you need them, preferably 10ft or shorter. Even with cables rated for 18Gbps, many have reported that longer cables cause all sorts of problems. So, now that we have the screen physically set up, there are a few settings that make sense to do before connecting it to your computer for the first time. Nothing will have been harmed if these steps are done later, but now is a good convenient time to do them. Samsung has made many improvements to the firmware in these TV's in a very short period of time, and they affect the exact type of things that we as PC users of these TV's care about, namely image quality and input lag. I say this is debated above, as some of the early firmware updates on lower end models with 4 core processors (the JS9000 has an 8 core CPU) actually had negative impacts on input lag. On my JS9000 - however - I have found that every update I have received has improved input lag in PC mode without worsening quality, and improved quality in Game mode without sacrificing input lag. While some users of lower end 4 core models still use older firmware revisions as a precaution, posters in the thread who have installed more recent firmware suggest that anything 1207 or later on lower end models are a safe upgrade without bad input lag. The latest firmware at the time I am writing this is 1217. So there is a judgment call here, you can choose to keep the existing firmware for fear that updates will increase input lag, but on the JS9000 I wouldn't . Every firmware has been a clear improvement. On the lower end models, I still probably wouldn't based on what I have heard in the thread about 1207 and on, but it is worth keeping in mind. Using the arrow buttons on the remote (or the fancy WII-like accelerometer controls if equipped/desired) to navigate to the top left where it says "Menu". Navigate down the list and select the "Support" menu. Once there, select the "Software Update" option. Now select the "Update Now" option. It goes without saying, but you'll need a network connection (wired or WiFi) for this, set up in the first time setup screen. The update will be downloaded, unpacked and installed, and the TV will reboot. While we are updating firmware, why not do the remote as well? I have honestly not noticed any difference at all from this, but why not be current? Go to the menu again, as above, but this time choose the "System" menu. Now navigate to "Smart Control Settings"
Select firmware update. This will also require a network connection, and should be quick. Navigate to the menu again, like we did above, but this time select the "Picture" menu, and then scroll down to the second page, and select the "picture options" menu. Select the "HDMI UHD Color" menu. Select the HDMI port you are using for your computer (I am using HDMI1), and change the setting to ON. This will restart your TV. So this one is a little subjective, but here is the theory. Anything that performs image processing on the computer output before it hits your screen is going to take time, and this will directly translate to input lag, and we don't like input lag, so any unnecessary image processing needs to go off. Furthermore, these TV's have CPU's in them that perform the functions set in the menus. Lower end models have 4 core CPU's, while the higher end ones like the JS9000 have 8 core CPU's. If the CPU is busy doing other stuff it might just slow down the processing of your image, and we have more of the dreaded input lag. Lets start with 3D. I believe this is disabled by default, but lets just make sure it's set to "off"
Back to the main menu again, and it is time to navigate to the "Smart Hub" menu. This one is important. Smart hub is what Samsung calls its smart TV entertainment apps platform. Make sure app auto update is off, so it doesn't start messing with you in the middle of doing something, and also disable Auto-Start. Don't worry, you can still launch it by pressing the colorful "Smart hub" button on your remote, even when auto-start is disabled, it just takes a tiny bit longer. At least this way it doesn't load every time you turn the screen on, pop up in your face, and hang out in the background doing stuff, and slowing the screen down. Now let's go back to the main menu, and navigate down to the "System" menu. Scroll down until you see "ECO Solution" and select this menu. Here I have disabled everything except "No signal power off". Firstly the ECO auto sensor is highly annoying when it randomly changes brightness on you, especially when you have multiple monitors, and now the brightness is suddenly very different between your screens. It also might just use some CPU cycles, so I'd rather have it off. Lets return to the system menu, and now move down to the "General" menu. We'll come back to "Game Mode" later, lets just turn everything here off for now. Samsung Instant On SOUNDS good, but in reality it can be a problem and is better off. The light effect is subjective, but I prefer to not have a LED shining in my face when I am looking at the screen, so I have it set to only come on when the TV is in standby mode. We want to make sure we set this up before we set up any picture settings on the TV, as the TV tries to be smart, and can tell when we've changed things, and will identify the changed output settings as a different device, and use a different picture mode profile. If we change the picture mode settings first, we will lose them all, and have to do them again. Now is as good a time as any to make sure you have fairly recent Nvidia drivers. Once installed, pull up your Nvidia settings and go to the "Change Resolution" tab. You'll want to choose 3840x2160 as your resolution, and 60hz as your refresh rate. (These might already be selected.) Next we want to make sure that our output color is correct. 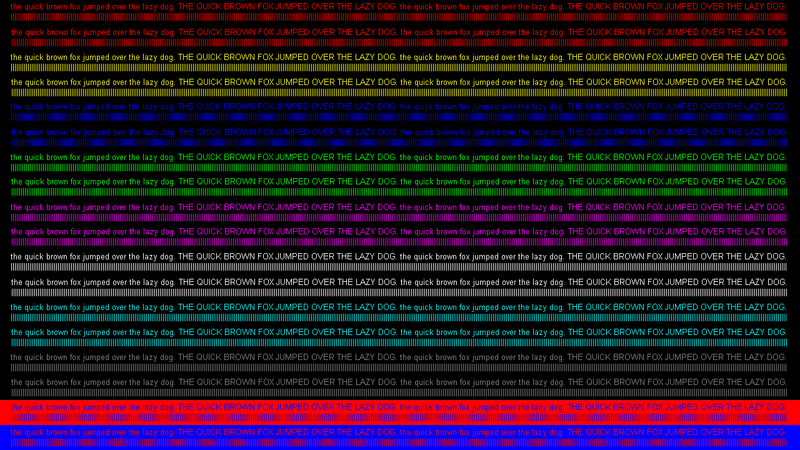 In the "Output Color Format" drop-down, select "RGB", and in the Output Dynamic Range dropdown select full. (Previously YCbCR444 was recommended due to a TV firmware bug preventing RGB mode from working properly, but this has since been fixed. Once setting RGB and Full in windows we will need to make sure that we have also set the correct "Full" level in the TV, or the colors will be compressed. I will cover this below in the "Setting up PC mode" section. Once the settings are applied, we can move on to our picture settings, and not worry about having to redo anything. Press the "source" button on your remote, and you will see the following screen. Navigate over and select your input (in our example HDMI1) and click the select button. Push the down button on the remote (or long press the select button) to reveal the semi hidden input options menu. Choose PC, and select OK.
Scroll down to the second page, and select "Picture Options". If you want to make any preference adjustments, we can go back to the picture menu and make them there. By default there are two separate picture modes in PC mode, "Standard" and "Entertain". I don't know what's so entertaining about the "Entertain" mode, it just kind of scorches my eyeballs, so I leave mine in Standard. This is where we start getting into very subjective territory though. As for contrast, brightness and sharpness, I feel all of these hit it pretty well with their default settings. If anything is too dark or too bright for you, make adjustments to the backlight, before touching the brightness setting, as changing brightness from its default values can compress the color space. I found the default backlight (I think it was 12?) much too bright for my tastes and my office, so I turned it down to 7. At this setting it matches my Dell 2007FP side monitors pretty well in brightness. If you have any side monitors, you have probably noticed by now, that compared to the Samsung TV, they seem kind of yellow.This is due to an effect called "white balance". Our eyes adjust to the white balance of the light around us automatically all the time, and it ranges from warm to cool. While there technically is no such thing as a correct white level, CCFL backlights like in traditional LCD monitors are probably closer to normal light. The LED backlights like in this Samsung TV tend to skew a little blue/green. TV purists hate this, and tend to stick to their plasmas, but most peoples eyes adjust very quickly, especially with a large screen up close like this, and suddenly everything else looks yellow, including that supposedly highly color accurate IPS panel sitting right next to your TV. If you are just using one screen, I suggest leaving it as it is. If you want the whites to better match the other screens you have hanging around we can make a white balance adjustment. Scroll down in the Picture menu to "Picture Options"
Here you'll find a "Color Tone" menu. Options are "Cool", "Standard", "Warm1" and "Warm2"
I found even the warmest setting (Warm2) to be cooler than my IPS side monitors, but at least now they are pretty close. Next we are going to set up Game mode, but first a note, the TV will remember picture mode settings individually for the different input modes (PC, Game, etc) which is great, because you can tweak them separately, and simply switching between the modes will remember how you last had them set up, so feel free to tweak the picture mode here, without any concern for how it will impact game mode. The PC mode looks gorgeous, but it has some ~46ms of input lag, which wile OK for desktop use, and some types of games (I'm not bothered in Civ 5, for instance) would be kind of bad in a fast paced first person shooter. Once we have properly set up game mode, we should be able to get that input lag down to ~24ms, which quite frankly, is better than any non-CRT monitor I've ever owned. Again, lets press the "source" button on your remote. Navigate over and select your input (in our example HDMI1) and push the down button on the remote (or long press the select button) to reveal the semi hidden input options menu again. This time we are selecting "Game". This is where you gasp and say, "Oh my god this looks horrible, is my gaming really going to look this bad!?" The Answer, No. Game mode DOES reduce the color level a little bit down to 4:2:2 (I think) which is enough that if you are staring at certain colors of text on certain backgrounds it might look bad, but in any game I have tried thus far, I can't tell the difference in image quality. I CAN however tell the huge difference in input lag, which is much much better. The reason it looks terrible right now is because the default settings are really bad for some reason. Scroll down to the second page, and select "General". Here, select "Game Mode" and enable it. Make sure everything else is still off. Now we need to go fix that horrible looking picture. For whatever reason, maybe intentional, maybe a bug, the sharpness setting is different in game mode than it is in PC mode. You will find that it is still set to 50, just like in PC mode, but it's not the same 50. This 50 is really (REALLY) high. So the solution is simple. Turn that sharpness setting all the way down to 0, and you will find that Game Mode actually looks pretty good now. On the desktop, especially with a lot of text you can tell the difference between this and PC mode, but it's difficult as the difference isn't huge. In games, you can't tell the difference at all. At least I can't. And don't worry about the picture mode settings being different, as we mentioned before the TV will remember them for each input mode. Some people are not very lag sensitive, and they say they just stick in PC mode all the time, even in games. Others are not very Chroma Subsampling sensitive, and they say they stay in Game Mode all the time. Personally, I can tell the difference in both, so I switch the modes all the time. Luckily, all the settings we changed are one time deals. The TV remembers them when you switch modes, so going forward we only have to change the input, and everything else is remembered. Press the "source" button on your remote, and you will see the source screen. Navigate over and select your input (in our example HDMI1) and push the down button on the remote (or long press the select button) to reveal the semi hidden input options menu. Choose PC, or Game and choose OK.
That's all there is to it. Everything else is remembered. If you ever notice that everything else is NOT remembered, you probably did something silly, like changed the input, changed the output mode in the Nvidia control panel, plugged in a different PC, etc, etc. The TV is too smart for it's own good, and recognizes these things as new devices, and starts new profiles for them, so you need to go back and change the settings under "Setting up PC Mode" and "Setting up Game Mode" again. Find the entries that starts with SIMULATED and your monitor string. If you don't know which one, change all of them. Go to the first subfolder 00, and find the keys: PrimSurfSize.cx and change to hex "f00," and PrimSurfSize.cy hex value "870." That should change the default monitor size to 3840 x 2160 which will no longer resize and move your windows to the upper left corner. Verifying that you are actually in 4:4:4 Chroma mode. Now go enjoy, I know I will! If you think I got anything wrong, or missed anything, please feel free to comment. Snowdensjacket, AceGoober, Peteraa1 and 13 others like this. Good stuff. I'm thinking of going this route. Any reason to pay more to get the higher cost models for monitor use? Awesome, thanks for doing this. It will definitely help out new owners. Oh wow, this was a great article. Overall it will give me an idea if I want the 6700 or 7500 40 inch model myself. What is the ms response rate on these guys as well? I have the JS9500 and returning it for the JS9000, I find it odd in PC mode that we cant change certain settings for Movies (Dark / smooth / 3d options). In Game Mode it seems we can, should we keep all of the Advanced and picture options off? Is there a way to verify settings? Color Tone in Game mode do we keep it at standard? I find Warm 2 to be really warm and yellowish. This could be due to me being just used to Standard at this point. My other main issue on the 65" JS9500 / 55" 9000 is that text is so hard to read in game. I gotta get one of these here deals. Great guide. Thanks for the info. I think it's time to put the Surround away. I am curious, the JS9500 is reportedly a fantastic screen, even better than the JS9000, with full matrix dimming for much better blacks, among other things. Why do you feel the need to switch? I find it odd in PC mode that we cant change certain settings for Movies (Dark / smooth / 3d options). yeah, Samsung made some strange decisions in how to let you configure these TV's. (Like, how you need to enable game mode twice, and that the default mode is to have higher color modes disabled... Makes no sense. That being said, if you are watching a movie, why not switch it out of PC mode and into one of the movie modes? The benefit here is that it will save all your specific movie picture settings, and they will be called up every time you switch the input, so you can have specific settings saved for movie watching, including AMP if that's your thing. This is really a matter of judgment and taste. Everyone has different preferences. I ahve mine set up the way I do because I like it that way, but if I were setting it up for someone else, and didn't know their preferences, I'd use the "everything off" as the starting point, and then one by one add in the things they wanted, simply because each thing you add can and will add input lag. So turn everything off, and then only add what you want, and you will be adding less input lag than if you immediately add all the bells and whistles, whether you need them or not. If you enable AMP mode for frame interpolating, things will look VERY smooth, but at the cost of a lot of input lag. Firstly, it will add another frame to the queue, since if you are interpolating, you need to have two frames to interpolate between, and then there is the interpolation processing time to account for. Depending on your tastes, this will look either great, or odd in movies, but in anything interactive the lag might be a bit much to stomach. You can push the OK button on the remote to get a very cursory summary of current resolution, etc, but it is very low on details. It will not confirm anywhere I have found if it is actually in full 4:4:4 Chroma mode or in a lower mode, but this ought to be pretty easy to just see, as the quality on screen will be rather heavily affected. If you suspect you are not in the right mode first make sure you are in 3840x2160 at 60hz and look at a screen with lots of colorful small, text. (colored text on black background is a great test). Now drop it down to 30hz, and see if the text becomes clearer. If it does become clearer, something is off, as this means you are in 4:4:4 mode when in 30hz, but not at 60hz. At this point I would verify you actually have everything hooked up to HDMI2.0 ports on both ends, check your cable (and test with others) etc. This is one of those that is 100% subjective. Do what you think looks best. As I described in the guide, I set it to Warm2 simply because I was trying to match the whites of my CCFL backlit IPS side screens, but I recommended leaving it at standard for those of you who only have the one screen, or who are using it together with another LED backlit panel. The beautiful (and confusing) thing about human vision is that we ahve evolved the ability for our eye sight to adapt very quickly to different white levels. Walk outside on a bright day after having been inside for a long time, and all of a sudden everything will ahve a bluish hue for a while until your eyes adjust. Go back inside to a room lit by lightbulbs, and everything looks yellow until your eyes adjust. Same thing with the screens. If you were to use an instrument to measure the light levels, you'd probably find that the CCFL backlit screens are probably closer to full white RGB levels (R255, G255, B255) and that the LED backlit screens err a little bit to the Blue/Green side, but your eyes adjust quickly, and there is no reason to change the white level unless you are trying to match it to nearby screens, IMHO. I only have the JS9000, so can't speak with authority on the other models, but they are all pretty close. All have fantastic input lag in game mode, and somewhat higher (but usable for desktop apps) input lag in desktop mode. For measured specifics, I think rtings.com is probably the best source right now. Just go over there and type in the model number, and you should be able to find all the data you need. It depends very much on what your preferences are, and what you are sensitive to. If you are PWM sensitive (screen dimming, not fans) it seems best to avoid the lower end models, as their PWM dimming scheme uses a lower frequency, and some people are very sensitive to it. I've never seen it myself (I must not be sensitive), but apparently it can show up as an annoying flicker. The lowest end curved model (JU6700) is a semi-gloss screen. Move up one step to the JU7500 and you get full gloss. Some like it, some actually prefer the lower model. As you go up the model numbers, the actual panels in the TV's move from 60hz to 120hz (don't believe the official specs here, as they overstate the figures and use electronic trickery to compensate). This list helps explain it. 120hz panels are preferable, but keep in mind that this doesn't mean you can set 120hz in windows and actually use it. The display output will still be 60hz. The reason they up it to 120hz is to reduce ghosting and response times. Because of this the higher end models fare better in this regard. Lower end models have a single HDMI 2.0 input, higher end models ahve more of them. Lower end models have 4 core CPU's, while higher end modes have 8, which can make the interface more responsive, especially if you want to use smart TV features. Higher end models are 3D compatible, whereas lower end models aren't. Keep in mind that there is no way to transfer more than 60hz at 4k resolutions to the screen (HDMI2 bandwidth limitation), and 3d alternates frames left-right, so in 3d you'll be maxing out at 30hz. There are more differences, but these are the big ones I can think of right now. Nice guide. I may get one of these Samsung 4k's. Best buy has the 40" I think for around $700 which is a pretty smoking deal. Great guide. I am considering one of these. Picked up a 48JS9000 and am having issues with 4:4:4 at 4k 60hz. It looks to be a driver issue, as I've got 3 GTX780's and I'm not able to get 4:4:4 displaying through HDMI (which reportedly may only be 1.4, which makes sense), DP1.2 -> HDMI (passive adapter so in theory it should easily push it), or DL-DVI -> HDMI (also should be able to push). At 60hz with any connection, I lose the color options when setting the resolution as you screenshotted above. At 30hz, it shows back up again and kicks into 4:4:4. Any ideas? Maybe a way to force it through an EDID profile? First time ever that I've bookmarked a thread on [H]. I prefer PC to Game mode for everything on my 7500, but you've given lots of good tips/tweaks to try. I so wish Samsung had a 40" JS9000. Sadly, I suspect the 7500/7100 were the last of high end 40" TVs. I think everything going forward will be 48" and bigger. My understanding is (and I might be wrong) that DP passive adapters are similar in capability to DVI passive adapters, which limit you to single link DVI type capabilities. The JS9000's are all curved, and start at 48". This was the main reason I went 48". Prior to deciding on the JS9000, I was shopping for 40" screens, as I felt that was closer to the size I was looking for for desktop use. I had all these thoughts in my head, the sources of which were scattered all throughout the 230+ page thread. I figured they needed to all be in one place. Kyle and I spoke about it, he suggested adding pictures, and I thought why not, and here we are! Great post! now to decided which 48 inch TV to buy. Very nice. Had some things I missed running through the 200+ page monster thread when setting up my UN40JU7500. I am selfish and asked Z for the article. Mine is supposed to be here today. Exactly. I was trying to fish it all together and I was simply doing more to confuse myself than anything else. It's the least I can do to give back for 15 years of enjoying my favorite tech site and forums on the web! Try to think of it this way. The PPI of the 48" is very close to a 23" 1920x1080 screen. The PPI of the 40" is very close to a 27" 2560x1440 screen. I keep thinking of stuff. What card/cards do you have driving that tv? I apologize if you already discussed this. I sub'd and am collecting all my empties and spare change. I really like what I see here. I got two 980ti's in SLI, currently at stock (well, Evga superclocked) clocks and a 3930k temporarily at 4.8Ghz. There is another thread in the GPU forum about what it takes to drive 4K games, but I'll comment briefly here. I've only played three games since getting this screen. I had a 2013 Titan 6GB at the time until I got my first 980ti. Civ 5: Runs great on any of these gpus, and probably some lower end ones too. Red Orchestra 2: Some maps just barely ran OK on my old Titan, most maps run OK with a single 980ti, all maps run great in SLI. Metro 2033: The opening chapter struggles at 4k. Got low to mid 40fps with both 980ti's in SLI. Got me up and running at least 95% of the way there! Many thanks. I just in case I forget a few settings over the coming months, I'll have this as a reference. Input lag. Usually TVs lag way too much for any first person gaming. Study input lag tests thoroughly before making the choice. Some TVs lag like half a second behind and make them horrible to use. It's easy enough to test: connect your TV as the second screen to your laptop. Then move the mouse or images around - chances are your TV will visibly lag behind to everything you do. The best of tv:s get input lag of mediocre monitors so with careful picking you may find a model that is acceptable. Of course you won't get 144hz level responses even then. The main PWM issue I believe was caused by square wave PWM with the 6 series. The 7 series and higher use a more rounded edge PWM signal which is easier on the eye. Could be wrong, thats what I recall. Perhaps the 7 series use higher frequency as well as rounded PWM. I could not tell any input lag on my using the Game setup from Z lay first person shooters last night. This is cool, I got the 7100. I couldn't use it on the computer desk, its on the side wall at a right angle to my main desktop spot. I needed a 25ft hdmi, I got a Mediabridge 18gbps for $13 on amazon, praying I can do 4k@60hz 4:4:4. If anyone got theres to work UHD color on a 25" hdmi 18gbps let me. I'll get the cable routed tonight or tomorrow and report my results. I wish you the best of luck. If that cable works, we will finally have found one above 15' that does. Thus far nothing over 15' has worked for anyone. Subbing to this thread; great guide.